SHATTERED HOPES: THE TRUE STORY OF THE AMITYVILLE MURDERS - PART II : MOB. MAYHEM. MURDER. With each phone call received, these words threw those who knew the DeFeo family into a state of shock and confusion. The entire family was dead. But why? And who would do such a horrific thing in a beautiful seaside village like Amityville? ‘MOB. MAYHEM. MURDER.’ the second installment of the Shattered Hopes: The True Story of the Amityville Murders documentary trilogy, told in a sort of “you are there” narrative, recounts the events of November 13, 1974. On this evening, the Amityville & Suffolk County Police would be summoned to the scene of a mass murder the likes of which they had never seen before. This installment spans through the SCPD investigation and subsequent criminal prosecution of Ronnie DeFeo, Jr..
Narrated by the Emmy-Winning Edward Asner, the Shattered trilogy is a documentary that dives into the DeFeo/ Amityville Horror case like never before. The story is meticulously retold by friends of the DeFeo family, and many others, who, for the first time, recount the haunting events of a crime that has fascinated the world. Also revealed for the first time are files that have been secreted away by Suffolk County for nearly four decades. Obtained by accident, the nearly 1,300 page unredacted file contradicts, in many cases, the “official version” of the Amityville murders. There are detectives in multiple places at one time, rifle box-evidence found nearly 5 hours before the official narrative says it was discovered, and newly exposed photos that could prove the presence of blood in the second floor hallway which supports Ronnie DeFeo Jr’s assertions that his father was shot in the hallway and thus proving that not everyone was in bed and went without a struggle. And we haven’t even mentioned the “second gun” which was used in the crime. •RYAN KATZENBACH, researcher who has spent the last decade collecting documents and interviews for Shattered. •RIC OSUNA, author of The Night The DeFeos Died --- the first author and book to look at the case and conclude that the case didn't exactly go down in the manner presented in most historical accounts. • DR. HOWARD ADELMAN, M.D. - Shattered was one of the last interviews given by Dr. Adelman before his passing in 2009. Ryan Katzenbach, and Dr. Adelman, who came to be friends over the course of production talked about the DeFeo case both on and off camera. Dr. Adelman's narrative serves as a first hand account of someone entrenched in the case from the very beginning and some of his statements regarding the forensics of the case will leave you stunned. • DET. GEORGE HARRISON (Ret). Harrison was the lead SCPD Homicide Detective on DeFeo. Now retired, Harrison gave a first hand narrative as to how he was summoned to the house and what transpired in the hours to follow the discovery of the bodies. • DET. GERARD GOZALOFF (Ret), was a partner to Detective George Harrison at the Suffolk County Police Homicide Squad. Detective Harrison was the lead investigator on the case, with Gozaloff second in command. Gozaloff's interview is one of the most candid contained within the Shattered series, and like Dr. Adelman, some of his conclusions are a bit shocking. • NYPD DET. MICHAEL S. RACE (Ret), Mike Race was the son of the late Herman H. Race who passed away in 1984. Herman was retained by Bill Weber, DeFeo's defense counsel, and he performed his own private investigation into the DeFeo case. He testified at preliminary hearings that there was evidence that there were other people who participated in the DeFeo Murders. Mike provides insight into his father's investigation and his own review of his father's file on the case. • DOUGLAS SPERO is an Emmy Winning WNBC telecaster who covered the DeFeo story from the night of the murders throughout the 1970's. He was, at one point, dating Deborah Cromarty, the daughter of Jim and Barbara Cromarty who owned the house following the Lutz ordeal, which gave him an incredible amount of insight into the house. 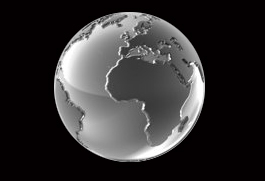 • JOEL MARTIN was the very first reporter on the case. Summoned by his bureau chief, Martin arrived within 10-15 minutes of the cops. Throughout his career as a writer and Long Island news personality, Martin would cover the Amityville saga. • ANTHONY GANGITANO, close friend and teammate of Marc Gregory DeFeo. He and Marc were on the Massapequa Mustangs football team and as a result, the Gangitano and DeFeo families became close friends. • GLORIA GANGITANO, Anthony's mother, and close personal friend to Louise DeFeo. • PEGGY GIAMBRA, in her early twenties in 1975, was the youngest Juror on the DeFeo case. The memories of the trial and the stories of what went on in the DeFeo house are permanently etched in her memory. • DR. ERIC HICKEY, Ph.D., is the Dean of the California School of Forensic Studies at Alliant University. Hickey's career has spanned over 30 years, and he is a highly sought-after criminal psychologist. Dr. Hickey was lead on the Shattered forensic team that examined the case for 10-months during an intensive "forensic autopsy" of the DeFeo case. • DR. KATHLEEN PUCKETT, Ph.D., is a criminal psychologist and a retired 23-year veteran of the Federal Bureau of Investigation. Along with Dr. Hickey, Dr. Puckett provides an intimate portrait of the psychology likely at play in the DeFeo home in the years leading to the mass murder. • ROGER NONNEWITZ was the husband of the late Linnea Nonnewitz who passed in the summer of 2009. Mrs. Nonnewitz was Louise DeFeo's housekeeper from 1968 to 1974, and she likely spent more time in the DeFeo home than any other outside individual. Roger eventually became friends with the DeFeos, too, and his recollections of the family are nothing less than vivid. •GERALDINE DEFEO-GATES, one of the biggest characters in our story and the ex-wife of Ronald "Butch" DeFeo, Jr. The most controversial character of the DeFeo story, Geraldine is likely the most anticipated testimony in Shattered. There is much debate over whether Geraldine was really present at the time the murders took place. In the first interview she has ever given on camera, Geraldine recounts her story in pristine detail. Interestingly, her details align perfectly with others, like Roger Nonnewitz and Gloria Gangitano. PLEASE NOTE BEFORE ORDERING • Because this is a new release, shipping could take between 6-10 days because of a backlog of new orders if we see the order traffic that came as a result of Part I. Please be advised of this, and you will be notified as soon as your order ships. 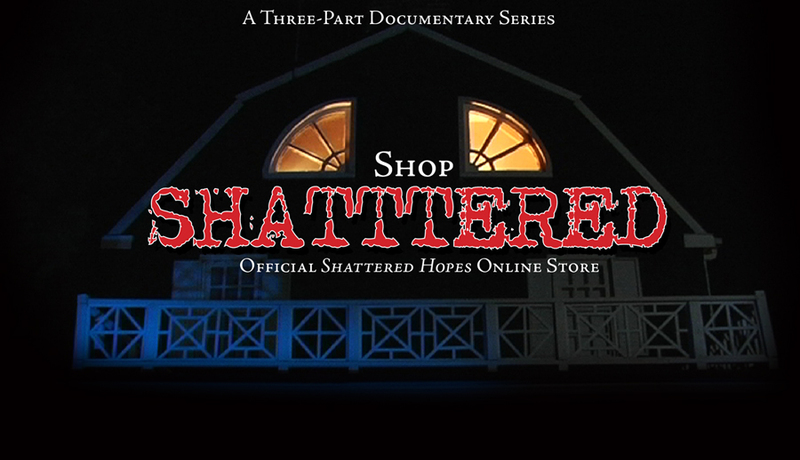 "Shattered Hopes is unlike any documentary on the subject of Amityville I have ever seen. It's honest, professional, and someone has clearly done their homework. 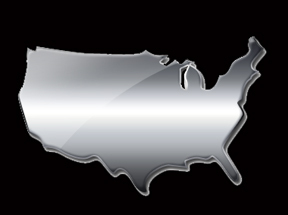 A definite must see... "
SHATTERED HOPES, Shattered Facebook Page and shattereddocumentary.com are property of Amityville Holdings, Inc. Copyright 2011, Amityville Holdings, Incorporated. All Rights Reserved. SHATTERED ONLINE STORE OPERATED BY AHI.